Welcome to Build New York Live! A 48hr design collaboration, from mid-day EST, 21st Sept 2015. Make your mark on New York. Register now, check the blog for updates and join the awards evening. 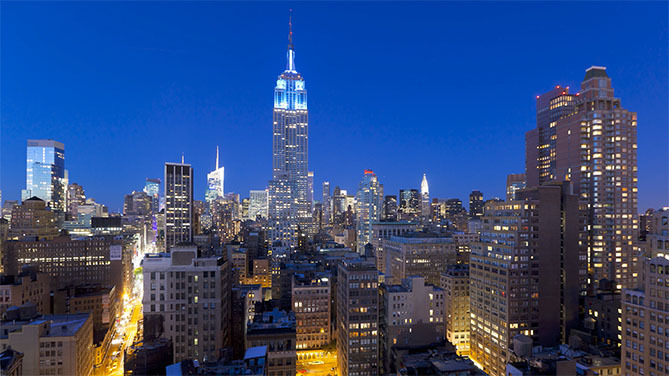 Build New York Live, organised by Asite, is the latest event in the Build Earth Live series. 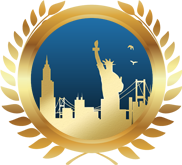 This international 48hr BIM competition which is recognised globally has a new location: New York City. International teams will compete during the 48hrs to win coveted awards and global recognition in the AEC industry. To observe this competition simply click on the register tab on the home page and fill in your details! We are pleased to announce the availability of the detailed design brief information for Build New York Live 2015! Building on the high-level design brief info made available on Friday, please follow the four links below to access the full detailed brief information and design assets for the site context. Good luck to all the teams! Hudson Yards is an area isolated for decades by a massive, open rail yard which is being redeveloped as part of �The Hudson Yards Redevelopment Project�. The project is a joint venture between the New York City Department of City Planning and Metropolitan Transportation Authority to encourage development on Manhattan's far West Side along the Hudson River in New York City � and is being delivered by property developers Related Companies and Oxford Properties Group. Hudson Yards will be the largest private real estate development in the history of the United States and the largest development in New York City since Rockefeller Center. Strategically located between 10th and 12th avenues from West 30th to West 34th Street, Hudson Yards is at the center of the metropolitan region with unsurpassed connections to commuter rail service, the subway system, the West Side Highway, the Lincoln Tunnel and ferries along the Hudson River. Hudson Yards is set to become the epicenter of Manhattan�s New West Side. The neighborhoods surrounding Hudson Yards, including Chelsea, West Chelsea and Hell�s Kitchen are buzzing with chic art galleries, innovative restaurants and bars, and highly respected international fashion and design. These neighborhoods are growing at five times the rate of the rest of Manhattan. It is anticipated that more than 24 million people will visit Hudson Yards every year. The redevelopment of Hudson Yards will ultimately include more than 17 million square feet of commercial and residential space, 5 state-of-the-art office towers, more than 100 shops, restaurants, approximately 5,000 residences, a unique cultural space, approximately 14 acres of public open space, a 750-seat public school, and a luxury hotel with approximately 200 rooms. The redevelopment of Hudson Yards is divided in two main parts: �Western Yard� and �Eastern Yard� divided by the 11th avenues. The design and construction of Hudson Yards is divided in two phases. The second phase includes the redevelopment of the �Western Yard� and is planned to include seven residential towers, an office building known as the �West Tower�, and a public school serving Pre-K to eighth grade students. Build New York Live 2015 challenges participants to reimagine the Western edge of the Western Yard site at Hudson Yards. The high-level brief is take advantage of the riverfront position and all of the transport links that are inherent to the site to create a vision for sports-based community outreach which becomes a draw for the entire metro region � and a community resource available to all New Yorkers regardless of socio-economic position. The space should serve as a bridge connecting communities around New York and bringing them into the center of Manhattan through sports. This new and imaginative flagship project should build on the community spirit of NYC to deliver an indoor sports facility over the Western Rail Yard called �Hudson Yards Sports Arena�, integrated into High Line public space adjacent to it and to design the adjacent Residential Tower just to the east in a sympathetic and integrated way. Register now for the Build New York Live awards evening on 25th September. Agenda: 4pm registration, 5pm welcome speeches from organizers and judging panel, 6pm Prize giving & networking with refreshments, 7pm event closes. Book your FREE space now! This world renowned BIM competition celebrates collaboration on a global scale. With judges from AECOM, Turner & Townsend, Asite and AIANY, join the New York AEC community in celebrating the winners of Build New York Live. Simply the best overall BIM effort within the brief as voted by the judges. Compliance to the brief and in particular the use of design to connect communities through sport. The best visualization, presentation and AVI to explain the design. Involvement of multiple disciplines and applications. Use of technology to �check� the design. Continuous updating of the public collaboration server. The best set of construction drawings, or cost analysis, or FM package. The judges are drawn from the OpenBIM community and will include client, professional and construction representatives. Their decisions and comments will be announced at the event awards ceremony on Friday September 25th. The material submitted will be retained for the use of buildingSMART OpenBIM and for publicity, promotion, education and testing. 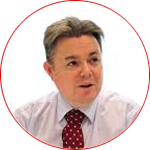 David graduated in the early nineties and straight away joined Balfour Beatty as a Graduate Engineer; he advanced through the company becoming Director of Technical Services and latterly BIM Programme Director. David is now Director BIM at AECOM. David's enthusiasm lies in highlighting the potential of new technologies and how we interact with them to bring added value to our customers and unlock new ways of working throughout the entire life-cycle. 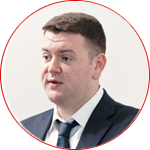 David is passionate about our industry and perceives BIM as being a catalyst for reform. He is also chair of the BIM2050 and various BIM4 working groups. He still lives in Scotland and his hobbies include photography and collecting air miles. He is a Professor at Glasgow Caledonian University. 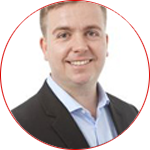 Nathan has been delivering cloud solutions for construction for 18 years. He spent 6 years on the board of BuildingSMART, and was closely involved in the development of the IFC standard. 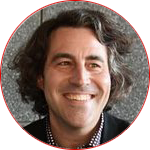 Nathan was part of the BSI working group which developed the British Standards for Collaborative BIM - BS1192 and PAS1192, and cofounded the Build Earth Live series of global Collaborative BIM events in 2008. He joined Asite as CTO in 2002 and led the initial development of the Asite platform before taking the COO role in 2006. One WYG entered into this global BIM competition with the aim of demonstrating the art of the possible through digital collaboration and technology Team One WYG consists of 12 different work streams within WYG, from architectural design to environmental planning, all based at various locations around the UK, with the additional input from specialist external consultants. Ryder Architecture Ltd are keen to explore innovative technologies and virtual working within the recently formed Ryder Alliance. The team is led by Ryder Alliance, an entrepreneurial alliance employing research and advanced technologies to redefine architectural practice, consisting of BIM Academy, i2C, Ravetllat Ribas and Ryder Architecture Ltd, and other organisations including Cundall, SLR Global Consulting Ltd, Summers Inman, and Willmott Dixon Construction Ltd. The team ethos is built around learning and engagement beyond the principle project team. Each team member excels in their own particular discipline and role, but Ryder Alliance will aim to integrate workflows and processes, develop synergy and deliver learning and outcomes that offer value beyond the competition. ElSarhaBIM is a Building Information Modelling (BIM) consultancy based in Egypt. We provide strategic advising to building design professionals. We combine our experiences as a Team with a passion for technology to improve the way buildings are designed, built and operated. We provide strategic advising to building design professionals, contractors and owners seeking to supplant traditional project delivery methods through technology driven process innovation. Recognized as Technology solution specialist on the integration of Information and BIM principles, ElSarhaBIM helps the Construction industry to identify, implement and organize the technologies and practices that enable better coordination, communication and collaboration. Our team wondering to make a difference in the AEC Industry using BIM technology and to make a difference in the architecture design section with new novelty building Forms to make our future looks better and amazing. The BIM4SMEGiants is a collaboration between: BWB Consulting, Elliotwood Structural Engineers, Geraghty Taylor Architects, Kent County Council, Nunelah Design Consultants, RG Group, Riley Consulting, TP Professional Services, University of Westminster and ACO Technologies PLC. Our objectives are to build awareness of BIM and help SME’s take part in the Digital revolution. Our involvement in this competition will give other SME sized companies an opportunity to see that everyone has a part to play. BIM Strategy is able to provide strategic advice to companies at all levels of the BIM implementation process from how to get started in BIM to the development of a long term BIM deployment strategy. We are Architechnique TM, a Society formed in the Greater Manchester region at the University of Salford, limiting to only members that are solely focused on perfecting in becoming an Architect/Technologist which single-mindedly study a variety of key skills and amplify a range of useful characteristics in design, communication, planning and purpose. Few members from this Society have taken responsibility to prove their commitment and passion for architecture on behalf of the entire Architechnique TM Society. This team has invited a variety of multi-disciplined members to collaborate and deliver a successful project, following the latest BIM Criteria (Level 2), through this experience we can adapt a range of new skills that can affect a future, with a much easier and sustainable understanding of the industry that students will soon face. This being the 1st international competition for the society, we hope to win and prove the capabilities of post-practice in collaboration and understanding of the fields in the construction industry, and to compete and win in more competitions to come in the future. How long have BUILD EARTH LIVE events been held? What cities have they been held in? The first Build Earth Live event was held in 2008 in London. Build London Live Design Events were held in 2008, 2009 and May 2012. Build Qatar Live Design Event was held in November 2012. Build Sydney Live Design Event was held in October 2013. Build Newcastle Live Design Event was held in March 2015. Where can I go to see information on past competitions? There is no fee to participate. The event is free to participants, and visitors who wish to view/follow. Do I need to physically be in New York to participate? Absolutely not! That�s the benefit of collaborative design. Participants from across the globe are encouraged to register and get in on the action. What kinds of organizations typically participate (architectural firms, real estate developers, others)? Participation from all disciplines in the AECO community, from architects to engineers to landscapers, is encouraged and welcome. The more diverse the disciplines of your team, the better.